Guneet Monga is a star now that her documentary Period End of Sentence has won big at the Oscars 2019 this year. Guneet Monga's Period End of Sentence bagged the honour for Best Documentary Short Subject Category at Oscars 2019. We bet she is on cloud nine and now wishes from everywhere are pouring on Guneet's big win. 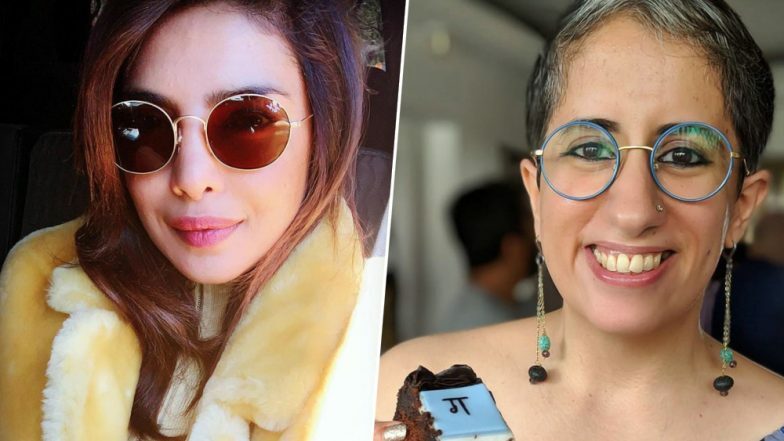 The most special one is from Priyanka Chopra who just took to social media to wish Guneet. Oscars 2019: Guneet Monga Reacts to her Big Win For Period End of Sentence, Says 'Now She's Determined to Change the World'. On Twitter, PeeCee wrote, "One of the most special moments of the evening...a film based on the taboos around menstruation wins BEST DOCUMENTARY SHORT! Congratulations to the entire #Periodendofsentence team, and my fearless friend @guneetm!! #Oscars2019". How awesome is this! We bet Guneet will soon reply to Priyanka's tweet and we cannot wait to know how she feels about the congratulatory message from the Desi Girl. Oscars 2019: Indian Producer Guneet Monga's Period End Of Sentence Takes Home the Trophy in Best Documentary Short Subject Category. An elated Guneet Monga reacted to the big win at the 91st Academy Awards saying, "Thank you to the Academy for the highest honour and for recognising the efforts of the young girls from Oakwood school in LA to Kathikera in UP in helping us shatter the glass ceiling. Periods are normal and in no way do they stops us from achieving anything. This has been more than 10 years of work of Action India run by Gauri Chaudhary on educating reproductive rights on the ground in many villages. Feminist Majority Movement and Girls learn International have been pushing this cause in the US."